[Photos via, via, via, via] If your New Year's resolutions involve toning up, shedding that holiday season blubber, or simply incorporating more fitness into your life, hiking is a fantastic activity to help meet your goals while enjoying some unrivaled scenery. Not being relegated to a gym for a workout thanks to a climate that supports exercising comfortably outdoors pretty much year-round, we highly recommend you take advantage. 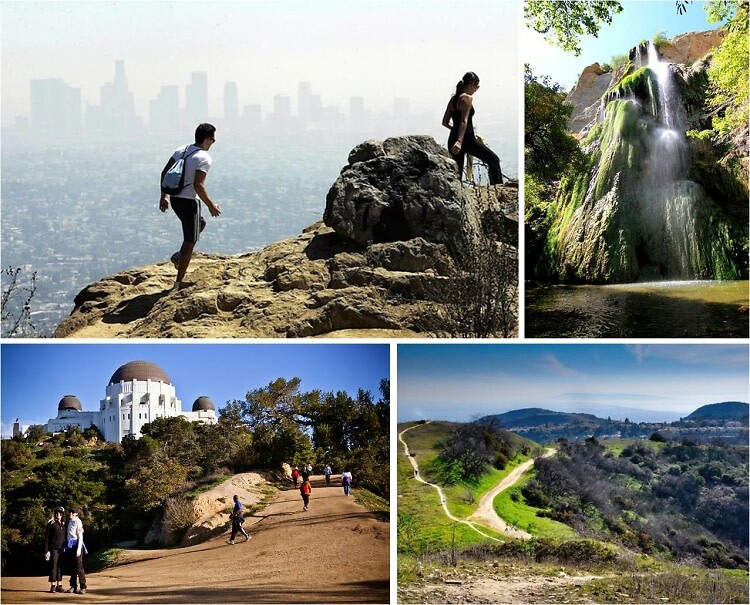 Whether you want to explore natural beauty like Malibu waterfalls or prefer trails with 360-degree views of the city to admire the urban landscape from afar, here's a guide to some amazing hikes besides Runyon around L.A. that will help you keep your resolutions for a fitter 2014.